The first rule of Fight Club is: You do not talk about Fight Club. I always recall this outstanding quotation from the iconic movie, when I face another amazingly naive statement that Mossad allegedly operated hard against the Soviet Union and nowadays it doesn't operate against Russia. The Israeli information warfare pros still work perfectly, if they've managed to hammer such a delirious thought into so many heads. Actually, Mossad always avoided involving local Jews into the field work to get rid of the outbreaks of anti-Semitic unrests, if it failed. However, it entirely doesn't mean that Israel didn't spy on the USSR and doesn't spy on Russia. The case is the non-Semitic agents are recruited. Just take a thought how Mossad could let go out of sight the USSR which was supplying arms to Arabs – the mortal enemies of the Israeli state! Nowadays, Russia stands together with Iran in Syria, actively transforming for its own benefit the geopolitical map of the world. Until the war began in 2011, Iran couldn't directly threaten the Israeli borders, because it had neither a common frontier, nor access to the Mediterranean. By the present autumn of 2017 the units of the IRGC, supported by some armed groups of the pro-Iranian Shia movement Hezbollah, almost approached the Israeli border. I hope I don't need to explain what kind of concern it causes in Tel Aviv. Indeed, Iranians don't want to stop and they're looking to break on through to the Mediterranean. There's a great opportunity to observe at anchorage near the naval supply & maintenance base in Tartus not only a Russian squadron, but also an Iranian one. Keeping in mind Tehran's geopolitical plans about Houthis Yemen, where local Shias boldly destroy expensive Western military hardware with Saudi staff inside, the situation goes really dangerous for Israel. By all means, the Israeli aren't going not to do a hand's turn. September 12 a Bulgarian website Novinite referred to the Chinese Xinhua News Agency claiming that the Israeli Air Force were holding large-scale exercises in Bulgaria. According to Novinite, the Israeli part was represented at the exercises by 42 aircraft including the F-15 Eagle & F-16 Fighting Falcon. Bulgaria took a part in the exercises with the Fulcrum jet fighter aircrafts and land-based anti-aircraft systems including the SA-10 Grumble. The exercises in Bulgaria were a part of wide-scale Israeli exercises which are usually held twice a year. Curiously, these exercises have become the largest for the last 19 years. Save the ground and air force units, the Israeli Military Intelligence & Navy also participated in the exercises. It was noted in the article, the distance between Israel & Bulgaria approximately corresponded to the distance from Israel to the central regions of Iran, and IRIAF and Iranian Air Defense Force were armed with the Fulcrum and the SA-10 Grumble systems. Obviously, a strike on the territory of Iran was trained during the exercises. It stands to reason, an operation like this is impossible to be planned without Mossad's participation. You would ask me, what does Russia have to do with this? I can explain – some indirect evidence says, the SA-10 Grumble system has been hacked by Mossad's agents for a long time. The episode in Bulgaria wasn't "the first meeting" of the IAF and SA-10 Grumble, but it actually was a neutralization (disposal) exercise of that SAM. There's no fool in Tehran, who wouldn't understand it. The only hope for Iran not to receive a smashing strike is the integration into Russian modern layered air-defense. The Iranians won't have got access to this security umbrella before they completely enter into the Shanghai Cooperation Organisation next year. 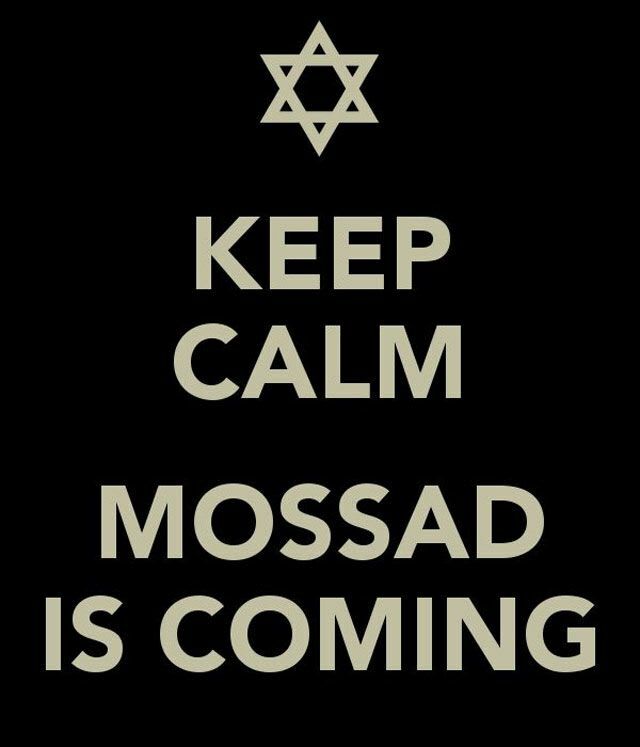 Who will say now that Mossad doesn't intensify its efforts on the Russian direction? The hunting for the secrets of SA-21 Growler and SA-22 Greyhound, the attempts to recruit agents – our Israeli friends have no end of work.